When Lady Alex Pendlebury is called in to psychically evaluate a death, she has no idea that the deceased will be someone she knows. The death, which Alex is convinced is a murder rather than suicide, is peculiar, and when more violence begins to follow, she doesn’t know who she can trust. That’s a really silly description, but I didn’t want to go into more detail. The back of the book gives away a lot more, and while it’s not exactly spoilers, some spoilers can be inferred, and so I thought it best to keep the description super simple. Essentially, this is an alternate history, kinda steampunkish, fantastical spy mystery/thriller with a kickass heroine running the show. 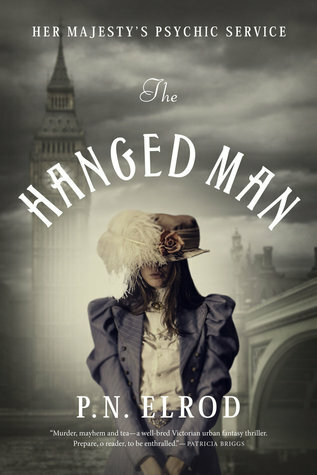 There were all the usual things you’d find in this kind of book, including prim, Austenesque language (a la Gail Carriger); some excellent turns and twists; and just a touch of romance. Additionally, there were some elements that were so far out of left field that I had a couple head-shaking WTF moments while reading. They were so well-integrated, however, that I never felt pulled from the story, and I’m excited to learn more of this world if further volumes of this series are ever published. On an only partially related note: Why are so many historical fantasies set in London? I’ve read so many in the last few years that I’ve gotten a bit tired of the setting. There are some books that I’ve actually given up because I was too tired of the setting at the time of reading. I’d love to have a bit more diversity in historical fantasy! This entry was posted in 2017, Adult, Prose and tagged atmospheric, dream-invader, historical, speculative, WTF moments. Bookmark the permalink. This sounds interesting! I know what you mean about London though. It seems like it’s always London or New York. I suppose it’s because they’re easiest to research but variety definitely would be nice. I don’t know. I seem to read a lot of historical fiction set in Paris too. The last one I read was actually set in Edinburgh. Before that, it was Chicago. There is a ton set in London, but I think once you start looking, you see it isn’t always in London. Oh, I’m sure historical fiction is very widely varied. I’m not a huge fan of regular historical fiction, though. Just historical fantasy, and that’s a relatively new genre that’s emerging. And it tends to focus on a couple of central cities, London being the biggest, probably simply because of London’s history.